Beautifully polished rich darker green jade with mixed colors. Jade has been treasured as a "Bringer of Good Fortune" for centuries. Some white or dark streaks in spheres. The Oriental Rosewood Stand is sold separately. Madagascar Girasol Opal Quartz has a vitreous translucency which looks like light passing through a thin veil or frosted glass. Opal is composed of silica and water, which gives it the illusion of water captured in stone. The Oriental Rosewood Stand is sold separately. Exquisite Almandine Garnet 60mm or 2 1/2" spheres from India. 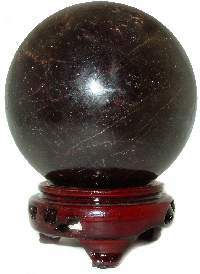 Garnet is usually found in matrix as crystal deposits but these spheres were carved from a large solid crystal. These beautiful spheres have intense burgundy brown reflective color with a high shine, hand polished finish. The image is darker than the actual reflective coloring. Garnet, used by Mayans, African Shaman and present day Crystal Masters, is considered a powerful "Sacred Stone", believed to extract negative energies on all levels and warm the heart. The Large Oriental Wood Stand is sold separately. 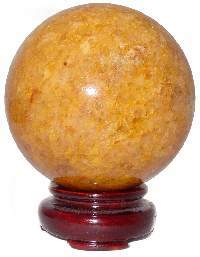 Unusual large Gold Quartz Sphere from India with a beautiful, even deep gold color. Gold Quartz has been called the "Golden Healer" by Melody and other Crystal Masters. 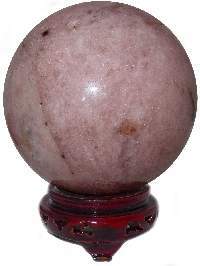 Quartz spheres are great for Feng Shui cures, healing crystal work, scrying or as a distinctive addition for the collector. Excellent polish and finish with no cracks. The Oriental Rosewood Stand is sold separately. 55mm or 2 1/4" Diameter - 8.5ozs. Can you find large Kunzite spheres anywhere? 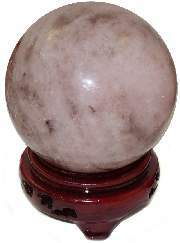 Unique large 85mm or 3 3/8" Pink Kunzite Sphere from Australia, the preferred source for high quality Kunzite. This highly sought after gemstone is said to powerfully activate the heart chakra and provide intense healing love energy for self forgiveness and loving acceptance of others. 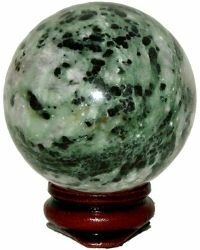 Beautifully polished, superb quality 85mm or 3 3/8" gem sphere. The Large Oriental Wood Stand is sold separately. Actual Item - One Only!! 85mm or 3 3/8" Diameter - 2lbs 3ozs. Unique large 120mm or 4 4/5" Pink Kunzite Sphere from Australia, the preferred source for high quality Kunzite. This highly sought after gemstone is said to powerfully activate the heart chakra and provide intense healing love energy for self forgiveness and loving acceptance of others. 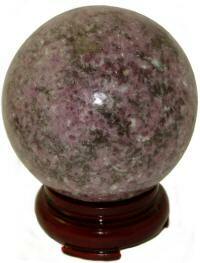 Beautifully polished, superb quality 85mm or 3 3/8" gem sphere. The Large Oriental Wood Stand is sold separately. 120mm or 4.8" Diameter - 5lbs 9ozs. High quality 60mm to 70mm Lapis spheres with deep blue coloring. 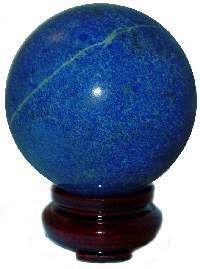 These lovely dark blue Lapis Lazuli spheres have the familiar gold Pyrite markings, consist mostly of the mineral Lazurite, mined for over 5000 years. Lapis Lazuli was the revered sacred stone of Ancient Egypt and included in their most important pieces. Beautifully polished high shine 2 1/2" - 2 5/8" spheres. The Oriental Rosewood Stand is sold separately. 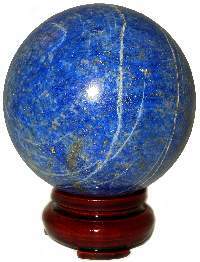 Sensational 60mm and 70mm A quality Lapis spheres with superb deep blue coloring. Lapis Lazuli was the revered stone of Ancient Egyptian King-Priests and Queen-Priestesses. It was said to exist before time was born and admit one to the sacred mysteries. 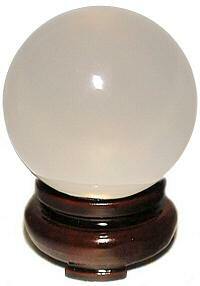 Get one of these excellent spheres before they sell out!! The Oriental Rosewood Stand is sold separately. Beautiful purple 72mm-85mm Lepidolite Spheres from Madagascar are full of Mica crystal highlights that catch the light like stars with scattered precious Black Tourmaline deposits! Lepidolite is an unusual Mica silicate with heavy Lithium deposits which create the purple and violet hues. It is said to have a refreshing energy of lightness, hope and acceptance. The Oriental Rosewood Stand is sold separately. 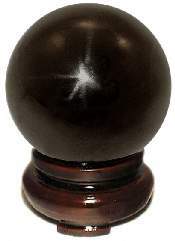 These superb quality Jet Spheres from Australia, have a brilliant polish and very few imperfections. Jet is fossilized carbon used for centuries as a talisman believed to purify and protect it's possessor from illness and violence, as well as grounding the emotions in times of great stress. Beautifully polished Australian Jet 2 1/2" spheres. The Oriental Rosewood Stand is sold separately.